Another year has started and preparations are already under way for our 34TH annual benefit tournament, the 19TH of May. Each year we work to make the event run smoothly and charge reasonable fees for competitors and spectators, so everyone may attend. American Isshinryu members will receive a $5.00 discount for pre-registering by the cut-off date. As always we will create extra divisions for adults and children if the number of competitors in a division is large to make the competition fair and enjoyable for everyone. Many friends have been made and renewed each year. 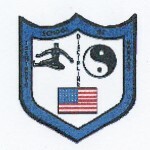 Those of you who have hosted tournaments know the stress created as I hope each judge will work honestly and each student will act in the manner fostered by our karate systems. I hope you and your student will be able to attend to help us raise funds for the American Diabetes Foundation and the high school sports program. Diabetes and obesity are growing in this country because of the eating and exercise habits of our population. Because of some more recent media presentations, people are becoming aware of the problem and strides are being made with research technologies. Hopefully, a cure will be found in the not too distant future. Our team empty hand kata competition will be improved to have from 3 to 5 competitors, instead of just 3 members. We will continue to be a NO CONTACT tournament for all competitors. THE FIRST LIGHT TOUCH TO THE HELMET, HEAD OR NECK WILL RESULT IN A WARNING, A SECOND TOUCH WILL RESULT IN DISQUALIFICATION. Anything beyond a Light Touch will result in disqualification. This includes all students from white belt to black belt. The philosophy that is stressed is that CONTROL should be able to be demonstrated by all competitors. Students must wear protective hands, feet, headgear, mouth guards and groin protection in addition for the men. ANY QUESTIONS – PLEASE DO NOT HESITATE TO CALL. Doug King’s Tournament, Merriam Avenue Elementary School, Newton, NJ – March 24th. Brown Belt and Black Belt session Friday, March 15th. Positivity is more inspiring and valuable than negativity; however, it always seems harder to look on the bright side. The good news is, you can change this and be surprised by how easy it is to be positive with everyone. Focusing on the good in life by saying and doing positive things. By asking a simple “why not?” matters may change and negativity is let go. Consciously, put positivity in the world this month. When life feels out of reach, try turning it into a “why not?” and see where it leads. Lastly, think back to someone who made a difference in your life and call, write or email to let him or her know. See what happens when you’re a true force of positivity, because being positive matters and so do you. Although we can’t choose how we’re born, we do get to choose how we live. This means that choices matter. Understanding that you matter is the first step in living a life with purpose. After that, it’s about taking one Monday, one action at a time – leading to a change in your life and those around you. Joy surrounds us – we can create it, experience it and share it. It comes in different forms! When was the last time you did something just for the fun of it? How often do you laugh until it hurts? Can you recall taking a moment to love the little things? If you can’t remember, make it a point to start each day taking a few minutes to think about joyfulness and what it means. Congratulations to the people that participated in the January 17th Golden Rule Tournament. Winners were: Tom Schroeder – 3rd Place Weapons, Kristyn Wheeler, 3rd Place Weapons and 4th Place Kata, Jake Brader – 2nd Place Kata, Daniel Tankel – Third Place Kata, Rachel Tankel, 3rd Place Kata, Dominic Jovino – 2nd Place Kata and Sparring, Trinity White – First Place Kata (tie). There have been discussions at the dojo lately about the starting and ending points when performing katas. The following is a short text has been taken from the Encyclopedia of Okinawa Karate and Kobudo. It was written by senior Uechi-ryū practitioner Tōbaru Keich and it gives a good overview about the topic of enbusen. With uke-waza (defenses), tsuki-waza (strikes), and keri-waza (kicks), the kata of karate also include skills such as tsukame-waza (seizing), nage-waza (throwing), and kansetsu-waza (joint locking, grappling). In addition, every kata has a so-called enbusen 演武線, or “trajectories of martial kata performances”. Assuming attacks from the front, back, left and right, and performing defenses, strikes, and kicks etc. against a visualized opponent, individual techniques are being combined into a series of techniques. Kata is the representation of lines systematized as a whole. The course of the footwork used to perform these attacks and defenses are the enbusen. Envisioning effective and appropriate techniques of offense and defense against opponents from all directions and integrating it with footwork into a series of movements, the performance of the enbusen is one of the key elements for the acquisition of techniques in Karate. As the basic forms of enbusen, there is the ‘I-shaped enbusen‘ (ijikei) which assumes the enemy in the front and back, the horizontal enbusen (yokoichijikei) which assumes the enemy on the left and right, the cross-shaped enbusen‘ (jūjikei) which assumes the enemy from four directions, the all directions enbusen (shihōhappō) which assumes the enemy in all directions, and the enbusen in which the directions and footwork radiates to all directions’ (happō hōshakei). Additionally, depending on the type of kata, various other enbusen exist, such as the ‘T-shaped’ (teijikei), the ‘reversed-T-shaped’, and the ‘tree-kanji-shape’ (kijikei) enbusen. In addition to the aesthetic or practical ideas of the inventor, from the perspective of larger and smaller training places as well as from the specific martial arts tradition, the starting point and the end point of the enbusen – referred to as matomari 纏まり in the Japanese language, meaning both consistency and conclusion – have to be consistent. That is, the start and end points are assumed to have been designed so as to return to the original starting spot when finishing the kata. However, due to differences in the physique, expressive power, stepping, footwork of the performer, the start and end point are not always exactly consistent. Especially in old kata of Kobudō, such a consistency in the start and end points is even harder to find. Therefore, this consistency might be a more modern necessity. While there are various trajectories based on the inventor’s viewpoint and ideas of martial arts, none of the enbusen of kata shows large deviations from the standard. Every kata includes a martial performance flowing along the enbusen, and even if there is some deviation, the kata ends within the radius of about 1 meter from the starting point. As a part of traditional kata, together with functionality and combative characteristics, the matomari has become something for handing down information. There are some things to consider when it comes to pre-1900 Karate. First of all, while the (almost) identical start and end point is certainly a classic feature of kata in Karate, the term matomari 纏まり doesn’t seem to be that old. Secondly, there are variuos possible reasons for the (almost) identical start and end point. For example, one might argue that it is the result of boundaries, such as in indoor training or when training larger groups of people. While the starting and ending points of kata are almost identical, it is said that with Kobudo or weapons kata, this is not generally found. There once was a little boy who had a bad temper. His father gave him a bag of nails and told him that every time he lost his temper, he must hammer a nail into the back of the fence. The first day the boy had driven 37 nails into the fence. Over the next few weeks, as he learned to control his anger, the number of nails hammered daily gradually dwindled down. He discovered it was easier to hold his temper than to drive those nails into the fence. Finally, the day came when the boy didn’t lose his temper at all. He told his father about it and the father suggested that the boy now pull out one nail for each day that he was able to hold his temper. The days passed and the young boy was finally able to tell his father that all the nails were gone. The father took his son by the hand and led him to the fence. He said, “You have done well, my son, but look at the holes in the fence. The fence will never be the same. When you say things in anger, they leave a scar just like this one. You can put a knife in a man and draw it out. It won’t matter how many times you say I’m sorry, the wound is still there.” A verbal wound is as bad as a physical one. Friends are very rare jewels, indeed. They make you smile and encourage you to succeed. They lend an ear, they share words of praise and they always want to open their hearts to us. Show your friends how much you care. To succeed in life, karate or any endeavor, each person must accept the responsibility to live life each day and strive to improve daily. When one’s temper is not controlled, the outside forces in life take control. The holes in the fence are the gaps in life when others are hurt by our action or inaction. Can we replace friends as easily as we would replace the boards in the fence? Is this a realistic option, especially if you are that piece of wood? As Steve Jobs once said “simple can be harder than complex; you have to work hard to get your thinking clean and simple. But it’s worth it in the end because when you get there, you can move mountains.” Once you start, you can succeed in anything you set your mind to. Change your life by eliminating distractions and focusing on the task at hand to streamline your processes and get results. CONGRATULATIONS to Skye and Trinity White on their promotion to Junior Green Belt. Brown and Black Belts – There will be a training session on Friday, February 15th – starting at 7 PM. Let me know if you will be attending. WEDNESDAYS – WE WILL BE COMBINING ADULT AND CHILDREN’S CLASSES ON WEDNESDAY EVENINGS FROM 6:00 TO 7:30 PM. ALSO – PLEASE WORK TO PAY MONTHLY DUES THE BEGINNING OF EACH MONTH.